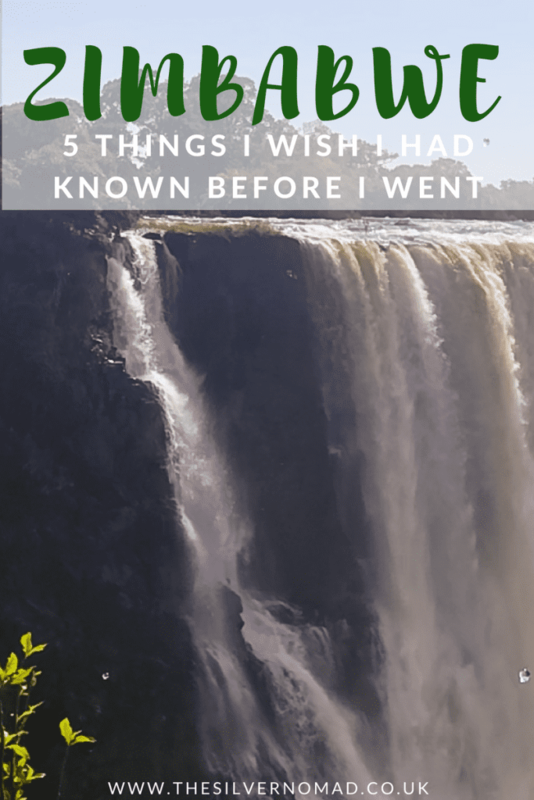 I have to admit that I only went to Victoria Falls in Zimbabwe for 2 days, after our Botswanan safari, but I quickly realised the amount of misinformation and general confusion that is bandied about. So I would like to try to put some of it straight. Let’s address a major problem in Zimbabwe. Most of the ATMs are empty. Yes, that is right, you cannot withdraw ANY money at all. You can use credit cards in bars, shops, restaurants, lodges and for activities, some of the taxis even take credit cards. Come prepared. The US dollar is the preferred currency and all prices are quoted in dollars. A few places will accept other currencies such as Sterling, Euros, South African Rand, and begrudgingly Botswanan Pula, but mainly it is dollars. So, if you didn’t get the gist…. COME PREPARED! This, unfortunately, is not up to date. Before we left Botswana, we were told that the visa was 50 dollars each and we could pay by credit card or cash. However, on our way to the border, our driver told us it would be cash only, so we stopped at a cashpoint to withdraw 100 dollars, enough for the two of us. Sure enough, the credit card machines at the border checkpoint conveniently did not work that day. Not only that, the visas cost each 55 dollars. We had to scramble about and exchange some more pula to get a further 10 dollars to pay for the visas. This was quite stressful, but if you know in advance you can be prepared. There are different visa requirements when entering Zimbabwe depending upon your nationality. The Visa on Arrival has 3 categories, with many countries falling into this category including most European countries, the USA, Canada, Australia, New Zealand, the UK, Japan, and more. There are 4 exceptions to this list – UK, Ireland, Canada and China who for unexplained reasons pay more. Chinese passport holders have to apply online for their visas. For a full list of the countries and to find out which category you fall into, click here to look at the Victoria Falls guide to Visas. If you go out of Zimbabwe for a safari and back in again, even for a day, you will pay again to get back in unless you have a Double Entry Visa, so it helps to think ahead. Most checkpoints want you to pay in cash, so as I said above.. COME PREPARED. If you are in Victoria Falls and fancy crossing the bridge to Zambia, you can get a paper visa at the checkpoint on the bridge, though if you have a Double Entry visa it helps. In more rural places in Africa, and towns such as Victoria Falls, wild animals still roam freely. This includes baboons, warthogs, elephants and the occasional lion. Caution, when you are out, is advised and no walking about at night. Take a taxi and be safe. Like most tourist spots, even just walking down the street, you will be plagued with hawkers selling wooden bowls, carved animals and “real” billion and trillion Zimbabwean dollar notes. A polite couple of “no thank you’s” is normally enough for them to leave you alone, but a few were a bit more persistent. Smile, shake your head and keep walking worked for us and they soon tailed off or found new tourists to try. Funnily enough, virtually every guy who spoke to us either had their birthday that day or the next, who would have guessed?? The Victoria Falls Airport is small and the Duty-Free is basic, but several of the shops only take – yes, you guessed it – CASH, so if you want to buy anything, make sure you still have some dollars left! The restaurant does accept cards, but the service can be slow. Love it? Pin it for later…. Zimbabwe is a beautiful country and I wish I had more time to explore it. If you want to book a guide before you go, check out these Victoria Falls tours with GetYourGuide.